Did you know today was National Inventors Day? 1 League of Women Voters Framingham Chapter has a meeting tonight at 7 in the Costin room at the main Framingham Library on Lexington Street. Framingham High will host the Bay State Conference cheerleading and dance championships tonight at 6:30 p.m. Framingham High’s cheerleaders will not compete, but the award-winning dance team will compete. 3. Empire Beauty School is hosting a fashion show today at 3:30 p.m. with its students. 4. Mayor Yvonne Spicer is scheduled to meet with individual City Councilors this afternoon. 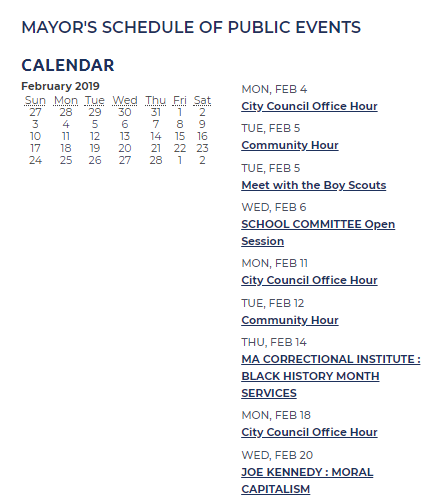 Framingham Housing Authority is scheduled to meet at 5 p.m.
Framingham School Committee’s racial equity subcommittee is scheduled to meet at 5 p.m. at City Hall. Framingham Library Trustees are scheduled to meet at 7 at 49 Lexington Street.